Wear Your Music is a website that allows music fans to buy bracelets created from used guitar strings - specifically donated by their favorite artist. In turn, the artist chooses a charity for the proceeds from each of their bracelts to be sent to. 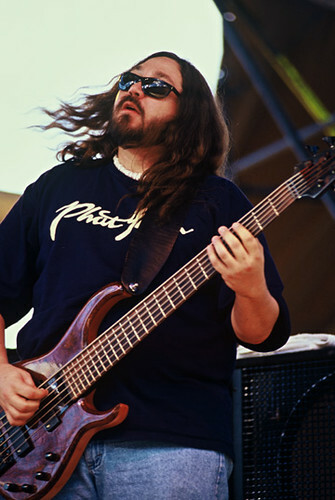 Dave Schools, Athens resident and bassist for Widespread Panic, is donating the proceeds from his bracelet to Nuçi’s Space! Click here to see Dave's guitar string bracelet. Each bracelet is handcrafted from used guitar strings donated by the artist. The seal, which binds the unisex bangle-style bracelet, is Harmony recycled fine silver and is hand stamped with the artist's initials. WYM is an environmentally friendly company and in keeping with our philosophy, each bracelet comes packaged in a recycled DVD case with a certificate of authenticity. All profits from each bracelet goes to a charity chosen by the artist. As each bracelet is custom made upon ordering, please allow up to three weeks for production.